Used Seat Ateca Review - 2016-present | What Car? What's the used Seat Ateca estate like? It is not often that siblings get to outshine their older family members. 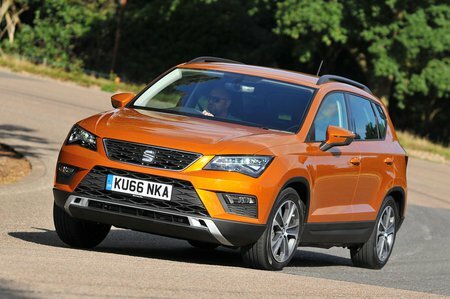 Seat, the young one from Spain, has had to sit back and watch while Volkswagen spearheaded its way into the small SUV market. That was until the launch of Seat’s first SUV, the Ateca. It’s fair to say that the Seat Ateca has been a huge hit since its launch and has helped to forge the firm’s path into this hotly contested market sector, followed neatly by the smaller Arona. Thinking of it as a Leon-sized car on stilts is not a bad way of picturing the Ateca; it’s also cheaper than the Volkswagen Tiguan it’s related to. Overall boot space is near best in class, but there are subtle differences in spec to make sure the Ateca is cheaper, such as the rear-seat flexibility. It still folds 60/40, but the Tiguan gets a more useful 40/20/40 split, which is great if you need to carry passengers and long items at the same time. The rear seats in the Ateca don’t slide to liberate more boot space or recline for passenger comfort as they do in the Kia Sportage. The rear footwells are quite large, though, so stretching out won’t be a problem. The front has lots of space and all sorts of pockets and cubbyholes to lose items in. The roof pillars aren’t too thick, which means visibility is good so you shouldn’t have much trouble pulling out of junctions. You get rear parking sensors from SE-spec Atecas and above, with front sensors, a rear back-up camera and bird's-eye parking aids available as options or as part of a technology package - so keep your eyes peeled when looking for a used Ateca. 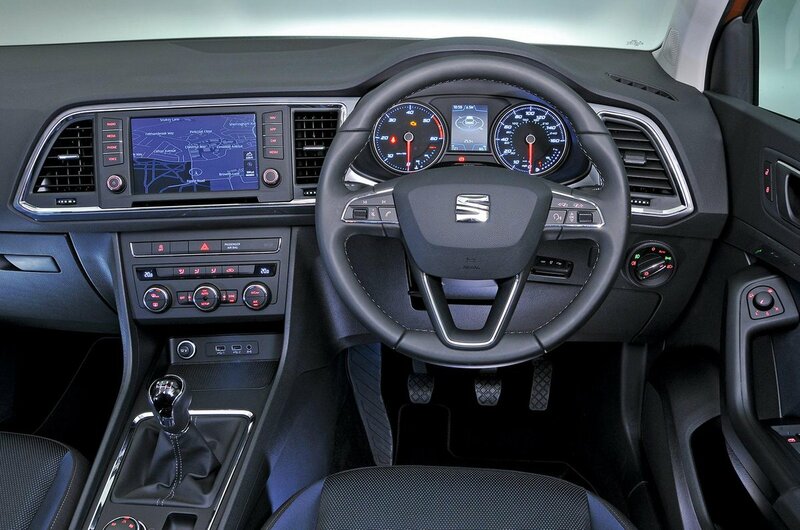 Interior quality is good too, with plenty of soft-touch plastic on the top half of the dashboard, although there is some harder, scratchier stuff underneath. It isn’t as good as the interiors of the Tiguan or Audi Q2, but it's cheaper to buy in the first place. Despite this, and its rather sombre exterior design, it’s actually quite nice and doesn’t feel particularly cheap to look at. But it’s the way it drives which sets the Ateca apart from its rivals. It is surprisingly good fun: the steering is precise and offers some feedback, body lean is kept in check and grip levels are high. Even the ride strikes a fine compromise between sport and comfort. The suspension deals with larger disturbances well, even if it can be a little fidgety at lower speeds - blame the requirement to limit body roll for that. The low-speed ride is slightly better on cars with wheels of 18in or less. Despite the ride, the Ateca is an excellent small SUV. It has a range of efficient, refined engines, excellent road manners and offers plenty of practicality for a reasonable price. If you need to get into a car like this, the Ateca deserves to be at the top of your shopping list. If you need an SUV that’s enjoyable to drive, nothing in the class comes close to matching it.